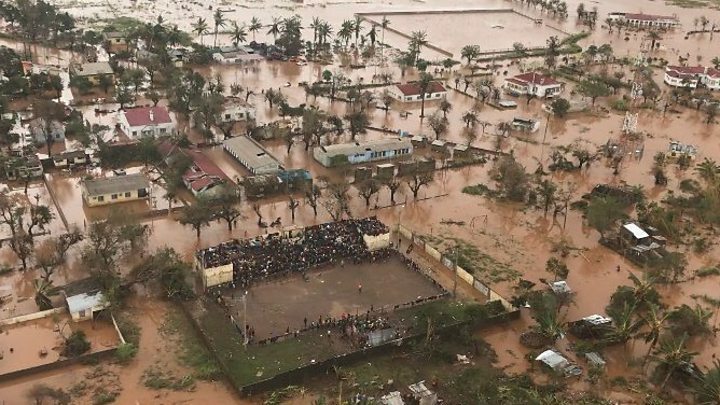 An appeal to help people in Mozambique and Zimbabwe affected by Cyclone Idai has raised £8m in 24 hours, the Disasters Emergency Committee has said. The Queen and Prince of Wales were among those who gave donations after the disaster which killed more than 500 people. The total includes £2m matched by the government - and it has now pledged to match a further £2m on new donations. Broadcasters including the BBC showed DEC's fundraising appeal on Thursday. The powerful cyclone swept in to the city of Beira in Mozambique on 14 March, bringing winds of more than 177 km/h (106 mph). 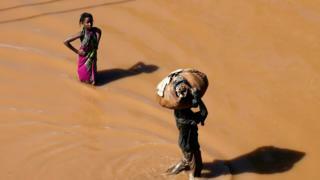 It left a trail of devastation as it moved inland across Zimbabwe and Malawi. More than two million have been affected by the storm and the flooding it caused, with the International Red Cross saying at least 400,000 people have been displaced in Beira. DEC, which brings together 14 UK charities to provide and deliver aid, says it is supporting the rescue and relief effort by delivering clean water, emergency shelter materials, food and health assistance. Chief executive Saleh Saeed said the situation remained "desperate" and thousands of people were yet to be brought to safety as rising water continues to hamper the efforts in some areas. In addition to the pledge to match £4m of public donations, the Department for International Development has also provided £18m in aid. A flight carrying UK aid is due to leave Doncaster airport at the weekend.